This development along with those already established by Stagecoach will provide some much needed opportunities as demand increases for seasonal travel. 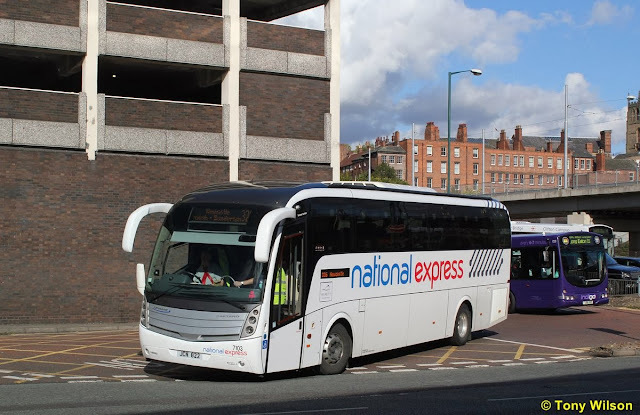 Locations served will include Nottingham as illustrated by this Go-Northern Salvador Caetano Levante as it departs from the Broadmarsh bus and coach station. 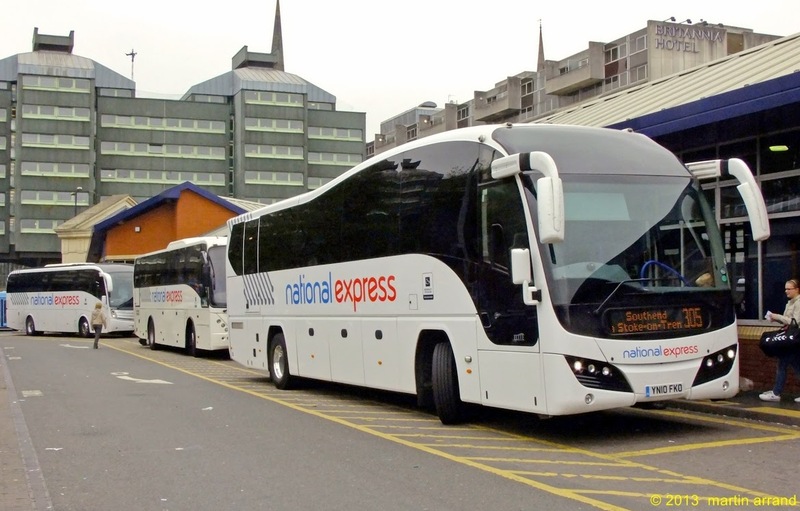 Another location served will be Coventry where this line-up of coaches awaited passengers earlier in the year. 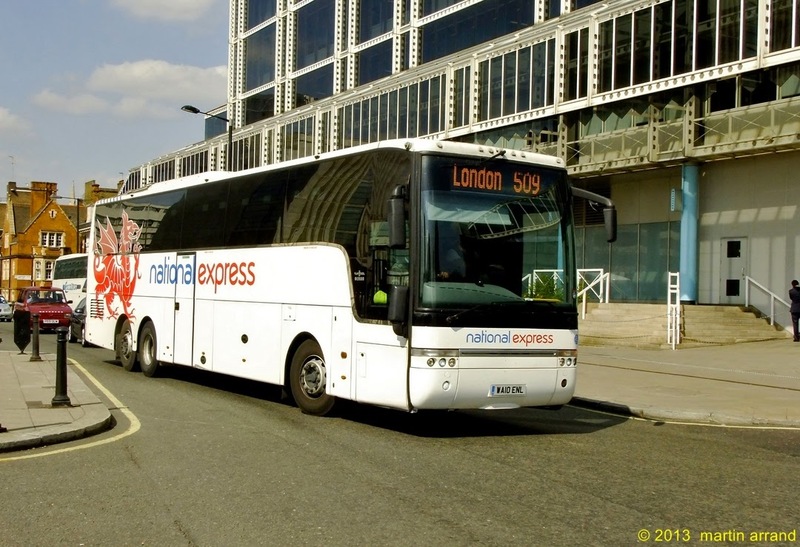 But it will be London where the focal point of the services will centre upon. 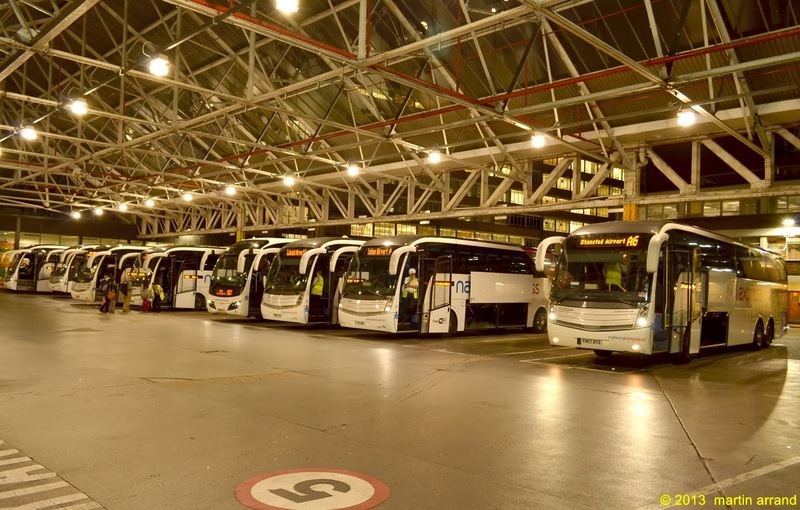 Although Victoria Coach Station will probably not see such a busy line-up of vehicles in one go on the day. South Wales will be connected to London maybe by a Red Dragon liveried Van Hool Alizee such as the above.